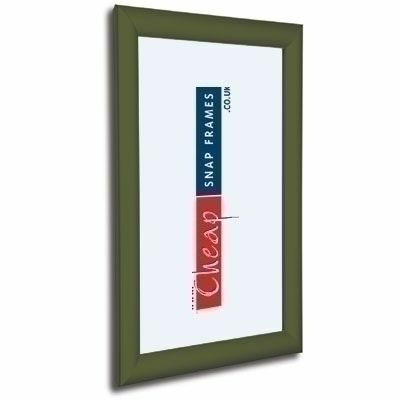 Green Moss 25mm Snap Frames - our moss green (RAL 6005) poster frames give you the chance to match to your colour schemes and company logo colours, but still have the functionality of a snap frame. This lovely moss green has a nice traditional, heritage, country look to it. 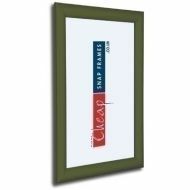 This moss green poster frame is screwed to your wall with concealed fixings, then the edges of the frame open from the front. This makes it really easy to change your posters, but the whole unit looks really neat and tidy. 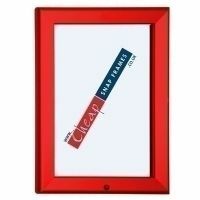 Available from A5 to 30"x40" from only £7.30 + VAT and delivery.